In a society well on its way through a digital revolution, a number of new challenges are encountered, and when participating in electronic business, small- and medium-sized enterprises (SMEs) face specific challenges and issues. In this chapter an analysis of those challenges covering electronic procurement within public and private sectors (B2G, B2B) is provided, including a case study from electronic invoicing. Relevant factors for the use of electronic invoicing for SMEs in Europe are recognized, and requirements for a technical solution are identified. Starting from that, an architecture for the solution is derived. The solution is aligned with the initiatives working on that issue within Europe. Hinsen (2010) states that we are halfway through a digital revolution, and although we have already gone through a lot of changes, what lies ahead of us will be even more challenging. SMEs face specific challenges and issues when participating in electronic business. Breyne (2011) points out that e.g. the plethora of solutions and standards pose a massive hurdle for the SMEs to surmount, but as the SMEs represent more than 99 percent of European businesses they should not be forgotten. Recent work has addressed interoperability issues from a semantic point of view, uncovering issues related to standards and formats1. This work addresses semantic alignment between participants, and this is reflected in existing and new formats released to the market. Such research, and work done within alignment of vocabularies and grammar within use of formats, largely affects anyone participating in electronic business. 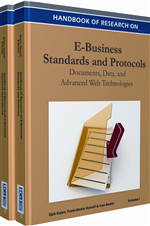 However, not only existing standards and formats need to be taken into consideration. Anyone interested in communicating with other participants of the market has to consider integration with existing infrastructure, and with that, it is necessary to uncover issues related to interaction and transport. Recent work addresses much of such interoperability issues and attempts to align business processes2. In addition, projects and action plans are carried out across the globe as steps towards modernization, improvement of the competitiveness and innovation of the market. Such projects and research put the premises and define the framework for infrastructures and standards. Koch (2009) states that the market is still in a refraction period with much of the needs yet to be identified. Such a market can produce a dynamic environment, almost to the point of a living organism, which adds to the complexity of finding harmony in business processes. In spite of this, whilst some growing pains can be expected when finding ways to adapt to the new environment, those pains can be transformed to gains. Semantic Interoperability: Encompasses the meaning of data elements and the relationship between them. It includes developing vocabulary to describe data exchanges, and ensures that data elements are understood in the same way by communicating parties. Hence, semantic interoperability enables organisations to process information from external sources in a meaningful manner and ensures that the precise meaning of exchanged information is understood and preserved throughout exchanges between parties. Note that in the context of the European Interoperability Framework (EIF), semantic interoperability also encompasses syntactic interoperability in the sense of describing the exact format of the information to be exchanged in terms of grammar, format and schemas. European Interoperability Framework (EIF): The European Interoperability Framework (EIF) was defined by the European Commission to: promote and support the delivery of European public services by fostering cross-border and cross-sectoral interoperability; guide public administrations in their work to provide European public services to businesses and citizens; and complement and tie together the various National Interoperability Frameworks (NIFs) at European level. Electronic business (e-business): Is defined as “the utilisation of information and communication technologies to support all the activities of business”. Technical Interoperability: Covers the technical aspects of linking information systems. It includes aspects such as interface specifications, interconnection services, data integration services, data presentation and exchange, syntactic definitions, etc. Small and Medium-sized Enterprises (SME): Micro, Small- and Medium-sized Enterprises (SME) are defined as “enterprises which employ fewer than 250 persons and which have an annual turnover not exceeding 50 million euro, and/or an annual balance sheet total not exceeding 43 million euro”. Organizational Interoperability: Is concerned with how organisations, such as public administrations cooperate across borders. This includes: alignment of business processes; Clearly structuring organisational relationships by e.g. using instruments such as service level agreements (SLAs); and defining of change management processes.